Image adapted from Wikimedia Commons, user Raimond Spekking, licence CC BY-SA 4.0. Imagine, for a moment, that you have opportunity to build the house of your dreams. You are rich and powerful, you own a lot of land, and you are carefree. So carefree, in fact, that this is what you decide to call your house. 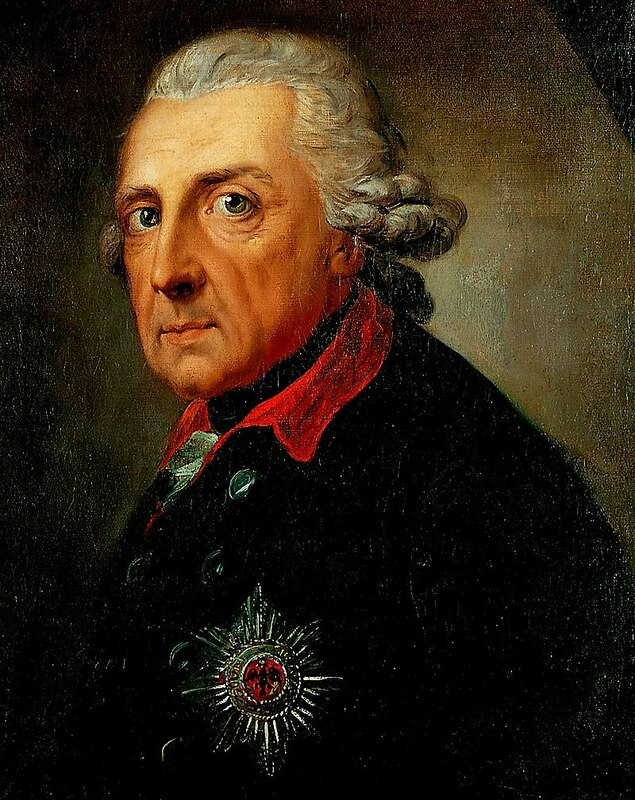 You are Frederick the Great: an 18th century monarch, the creator of Sanssouci palace in Potsdam, Germany, and the first person on record to describe your dog as ‘man’s best friend’. “Build me a fountain!” Frederick the Great. Image: public domain. Euler’s well. We think it’s rather swell. But how long will it take to… er… fell…? The well is 7′-by-7′. It’s depth varies from one 1′-by-1′ section to the next, as shown in the diagram above. 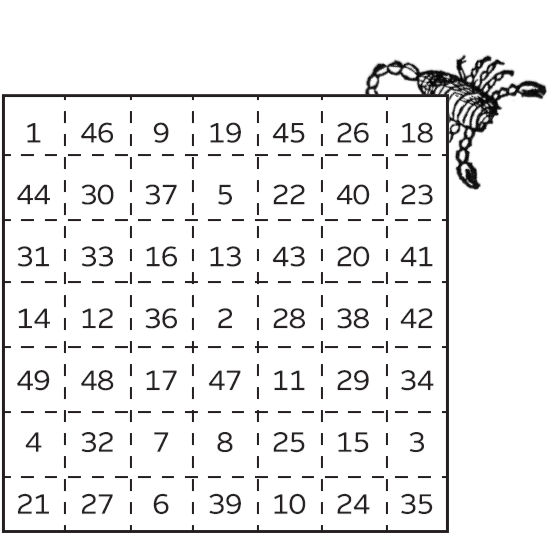 For example, the deepest section is 49′. Water is poured into the well from a point above the section marked 1, at the rate of 1 cubic foot per minute. Assume that water entering a region of constant depth immediately disperses to all orthogonally adjacent lower-depth regions evenly along that region’s exposed perimeter (an assumption that Euler insisted on). If you can solve this puzzle, submit your answer via the form below before midnight on the 31st of January. Winners will receive a t-shirt from Jane Street, one of our sponsors, who very kindly provided us with this puzzle. Jane Street publish great puzzles regularly on their website, and you can find their latest challenge here. For a pdf of the puzzle, click here.